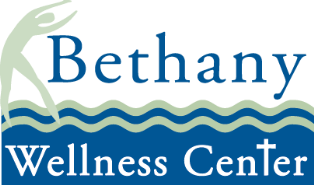 Pick up a Guest Envelope located on the sign-in desk of the wellness center. COMPLETELY fill out the Guest/Participation Waiver located on the sign-in desk of the wellness center. Enclose the EXACT AMOUNT per guest($2.50) or place an ALREADY PURCHASED punchpass ($20.00) into the envelope. COMPLETELY fill out the envelope. Slide the sealed envelope under my door. Guests must fill out guest & participation waiver, place it into a guest envelope with payment/punchpass and slide under directors door prior to using the facility. Group events must be approved by the Wellness Director prior to the event. Guests can only use the facility 2 times per month, unless the guest is an overnight guest AND resides more than 60 miles away. Guests must be accompanied by the host member at the time of using the aquatic facility. Guests MUST be over the age of 18 to use the fitness center. Host member is responsible for the conduct of guests and for any damages to the facility by their guests. Children can be considered guests, but parent/guardian must be in the water at the same time. Inexperienced children must be within arm's reach of adult at all times. Children may not jump off sides/dive in the pool. Children must be over the age of 18 to use the whirlpool, NO EXCEPTIONS! $20.00 punchpass can be purchased in advance and is transferrable between guests.